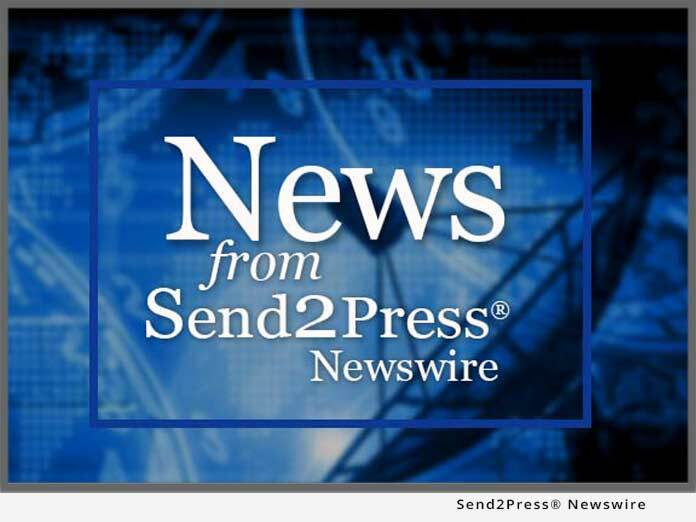 REDONDO BEACH, Calif., Oct. 2 (SEND2PRESS NEWSWIRE) — Publishers Newswire, an online resource for small publishers, as well as lesser known and first-time book authors, has announced its latest quarterly “Books to Bookmark” list, for Q3/2008. This list is a round-up of new and interesting books which are often missed due to not originating from “big name” authors, or major New York book publishing houses. The following list of books are provided as “worth a look” for media and booksellers, as well as avid readers of new and unique literary content. To learn more about these and other books, in detail, visit: http://www.publishersnewswire.com/book_news.shtml. Announcing a new book from Bad Beaver Publishing, “Lady’s Hands, Lion’s Heart, A Midwife’s Saga” (ISBN 978-0-615-19550-6, 368 Pages), by author Carol Leonard. Often laugh-out-loud funny and irreverent, occasionally disturbing and deeply sorrowful, “Lady’s Hands, Lion’s Heart” is the saga of Ms. Leonard’s journey as New Hampshire’s first modern midwife. Widely anticipated new book about the Atlanta Courthouse Shootings, written by respected trial attorney, turned author, Shoran Reid. “Waking the Sleeping Demon: 26 Hours of Terror in Atlanta” (ISBN: 978-0-615-20749-0, Rella Publishing), follows the terrifying hours Former Prosecutor Ash Joshi felt hunted by Atlanta Courthouse Shooter Brian Nichols and reveals new information about events prior to and after the tragedy. Libra Press confirmed its new book “Please put the toilet seat down” (ISBN: 978-0-615-21623-2), by author Darcy Frew and illustrated by John Blair Moore, is the first relationship self-help book women are buying specifically to give to their significant other, and not only is he reading it, it’s improving the relationship. * Effin Press Announces Publication of ‘It’s Favre Not Farv You Bobbleheads!’ By Jon Christopher, J.D. Effin Press(TM), an independent publisher in California, is pleased to announce the publication of “It’s FaVre Not FaRv,” by Jon Christopher, J.D. (ISBN: 978-0-9819177-0-2; $14.95 U.S.). A celebration of language that encompasses wit, humor and satire, “It’s FaVre Not FaRv” takes to task issues of celebrity, race and politics in America while providing whimsical and lyrical insights into the art of tilting at windmills. “Shadows of War: Prelude to Memorial Day” (ISBN: 978-0-615-20254-9) is the first title to be released by Crandall Publishing. This new book is a middle-grade historical novel written for ages 9-12, by Janice Sweet McElhoe, Ph.D. It focuses on the beginning of Memorial Day and Civil War-related events. So, maybe mom was right. People should sit up straight because it could be affecting their health. A new book released by Posture Press offers easy ways for desk workers to improve posture and improve health – “The Science of Sitting Made Simple” (ISBN: 978-097-16-0-20-52), by Dr. Gregg J. Carb. More than fifty-five million Americans proudly call themselves Republicans. However, many individuals support political parties without fully understanding the history behind them. Author and historian Scott Paul Frush wants to shed light on one of the parties that has made a difference in this country by examining its rich history in the book, “Ultimate Republican Trivia: 1001 Fun and Fascinating Facts” (ISBN: 978-0974437415, Marshall Rand Publishing). DC-101, Inc. announces the publication of a new book by MaryAnna Donovan: “(why) I Hate to Date (online)” (ISBN: 978-0-981-7068-0-1). This hilarious new book offers an insider’s view of the world of online dating in a format that is fun to read and educational, all at once. Zakariyya Ishaq, author, is pleased to announce the release of the groundbreaking book: “The Ellipse: The Fall and Rise of The Human Soul: Secrets of the Cosmos” (ISBN: 978-0-9809995-2-5) – Journey into the Soul, Apocalypse, and the Destiny of Humankind. Due to high demand in Brazil, a popular medical handbook, “Fracture Classifications in Clinical Practice” (ISBN: 978-184-628-0252), has recently been published in Portuguese by DiLivros Publishing company. Authored by Dr. Seyed Behrooz Mostofi, FRCS, the book benefits an array of orthopedic medical professionals and helps them to communicate with greater accuracy and precision. The recent thriller by author, Mark Biskeborn, “A Sufi’s Ghost,” has won a great deal of attention with its controversial characters. The novel by Mark Biskeborn, dramatizes how a woman flees an abusive, polygamous marriage in Saudi Arabia and reveals secrets of Islam. For more information on these and other books you likely never heard of, visit: www.PublishersNewswire.com. Note: Books to Bookmark(TM), Books2Bookmark(TM), Publishers Newswire(TM), and Neotrope, are service marks and trademarks of Neotrope(R), Redondo Beach / Torrance, Calif., USA. All rights reserved. All other trademarks acknowledged.